This was the second grander in two days for the fishermen operating out of Kaneohe, Oahu. This time it was Capt. 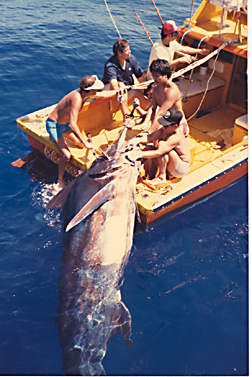 Lee Gonsalves who found the brute while trolling aboard the EKENA ELUA 15 miles outside of Laie.